This is my just finished Tomboy built from a Bob Holman laser kit and Jim O'Reilly plan. They both did an excellent job on this model in all respects. This is the second one I have built as the first one was built 44 years ago and is still in service. I recently converted it from a Cox Baby Bee .049 to an MP Jet Classic .040 and it is a 44" ws version. 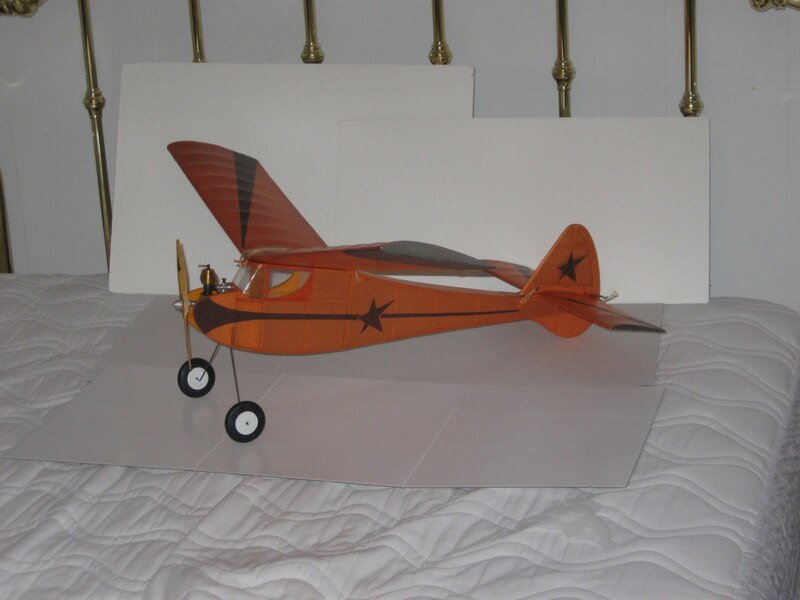 This is a 36" wing span version powered by a CS Boddo Mills .75cc. The fuselage is covered with Japanese tissue over polyspan and the black trim is black tissue. The flying surfaces are Japanese tissue over 1/4 mil mylar and black Japanese tissue trim. The tyres, and this is a British model and correct spellings are in order, are not the tyres going on the model --- I have some coming on back order that will be much lighter. 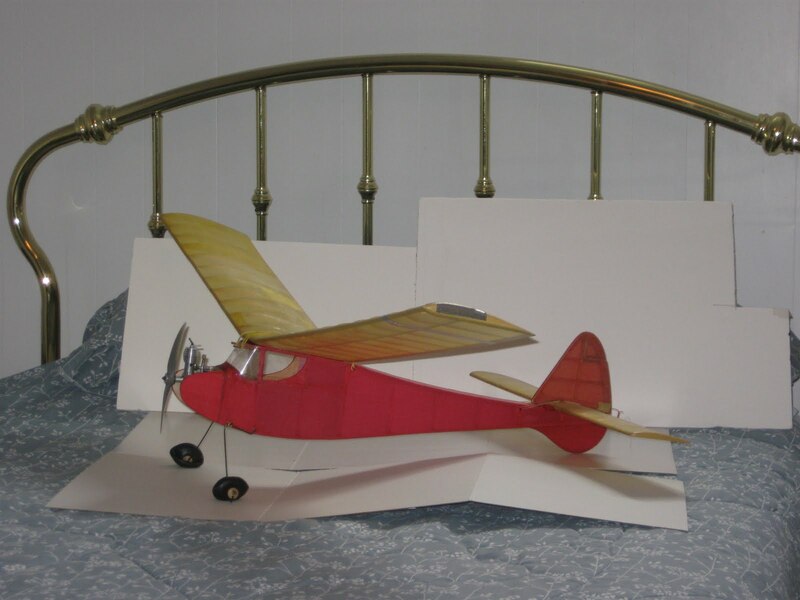 I am also going to build a 44" wing for it to see how much different it flys.